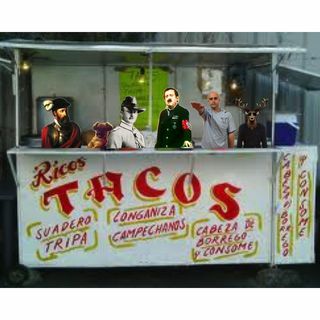 Hello goys and welcome to another installment of your favs tacocast. In this episode we had a very interesting conversation that cover the whole gamut of subjects(our tangents galore shitfest warning to you)with our friend Eli Harman. Bon Appétit. important to deal with first, women or jews? 01:11:00 are the liberal arts salvageable at this point? Check out our show in Spanish: El Shoah del 8 and join our Discord for Spanish speaking shitlords. Be sure to like us on Facebook to finally have ethical gaming journalism.